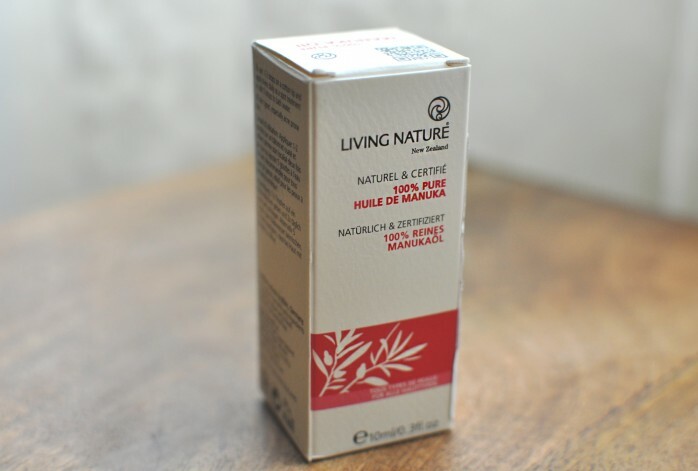 Today I’ll continue with my discovery of Manuka in skincare. 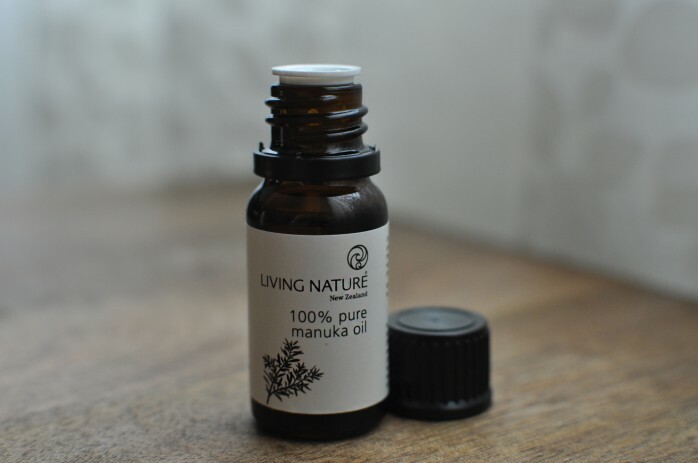 First up is Manuka Oil by Living Nature. 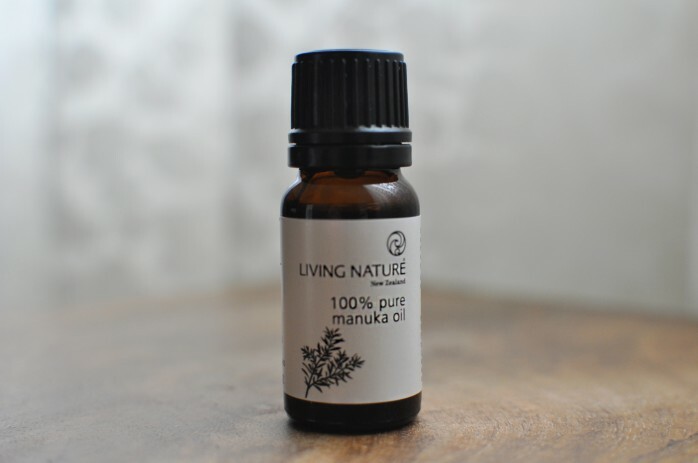 Manuka oil is highly concentrated and potent anti-inflammatory, antibacterial, and anti fungal essential oil used to treat many skin issues. It is derived from Manuka plant, which is what bees in New Zealand use to make Manuka honey. 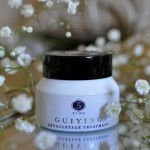 It is your best alternative to Tea Tree Oil to spot-treat blemishes and acne. It is effective in treating skin irritations, eczema, foot fungus, insect bites, cold sores, rashes and cuts. What a great way to have a multitasking go-to skin rescue in one little bottle! I honestly hate the smell of Tea Tree oil, but I love what it does. 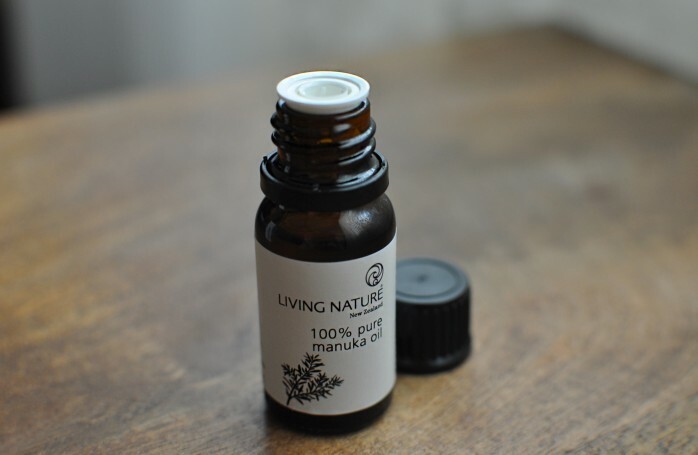 Having this Manuka Oil give the same results stirs up some excitement. It does have a very strong smell, somewhat similar to Tea Tree or Licorice Root, but a bit more settle and sweeter, earthier. 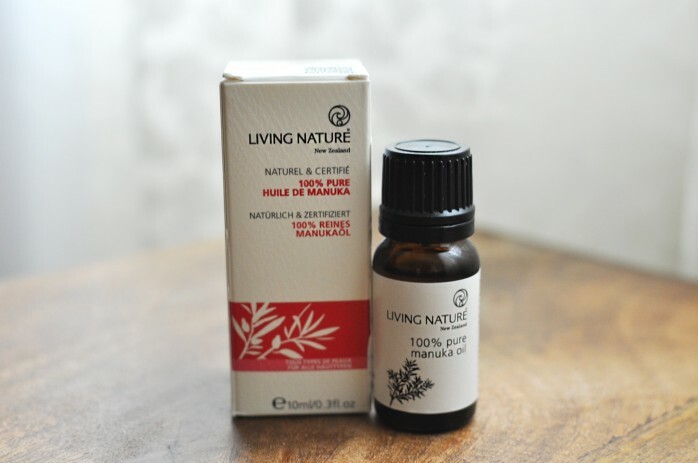 Because this oil is so potent, you only need a tiny drop applied to your problem areas. You could also add a few drops to your bath water and have it do it’s magic to your body. This oil is all natural and is good for all skin types, but especially great for acne-prone skin. It calms all sorts of skin irritation and infections. I’ve already introduced you guys to this brand when I talked about Manuka Honey Eye Cream (here). 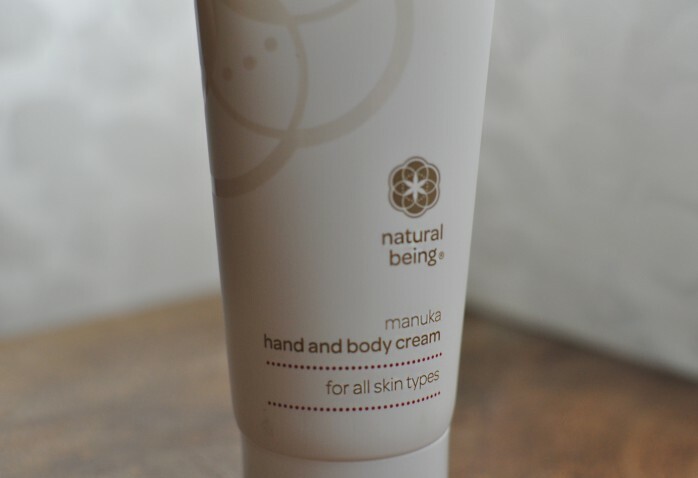 This time I got to try Natural Being Manuka Honey Hand & Body Cream. It has the same sweet nectary smell as the eye cream does (just a bit stronger), which is derived from natural essential oils. The smell doesn’t stay on your skin for too long, which I like. This lotion is light and absorbs well, no greasy or sticky feeling at all. 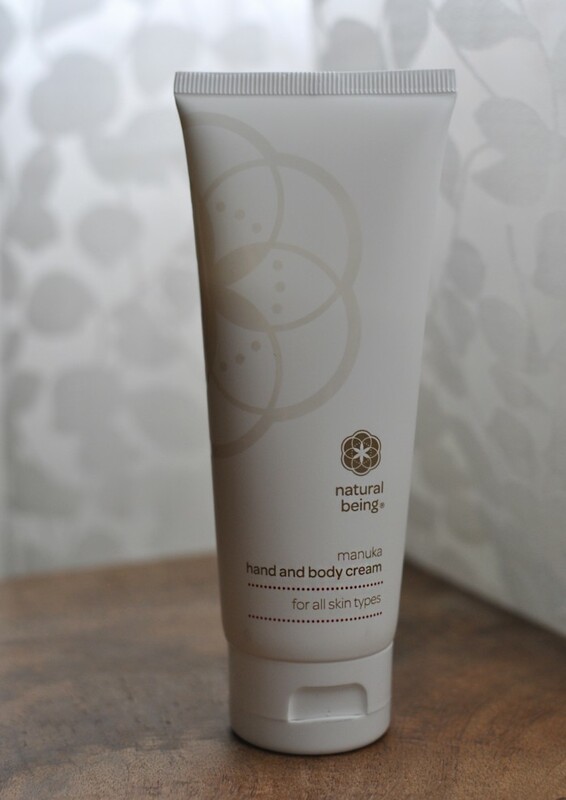 NB Manuka Honey body lotion is free of parabens, chemicals, preservatives, artificial fragrances or colors. My body feels smooth and has a slight healthy glow after application. As I’ve said in my previous post, Manuka Honey is great for preventing and fighting blemishes, acne and irritation. It is anti-bacterial and anti-inflammatory, which makes it a perfect addition to skincare products. 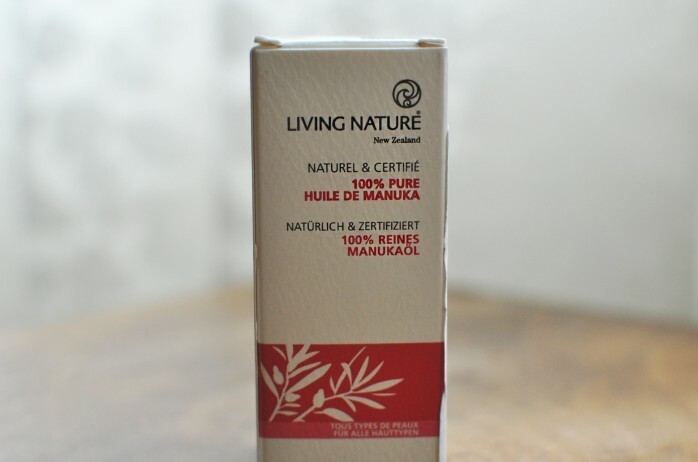 It is also a great natural moisturizer that keeps your skin soft and protected. 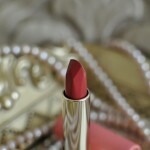 Last and certainly not least – this product as well as the brand is Cruelty-Free and Eco-Concious. Way to go!